Maravista Farm enables the restaurants within the Ogilvie Group to access the freshest possible local produce as well as food in different stages of the growth cycle. Maravista Farm is a culinary garden of organic, locally grown produce for the Ogilvie Group venues which include Rickys Noosa, Locale Noosa, Wood Fire Grill and aromas noosa. 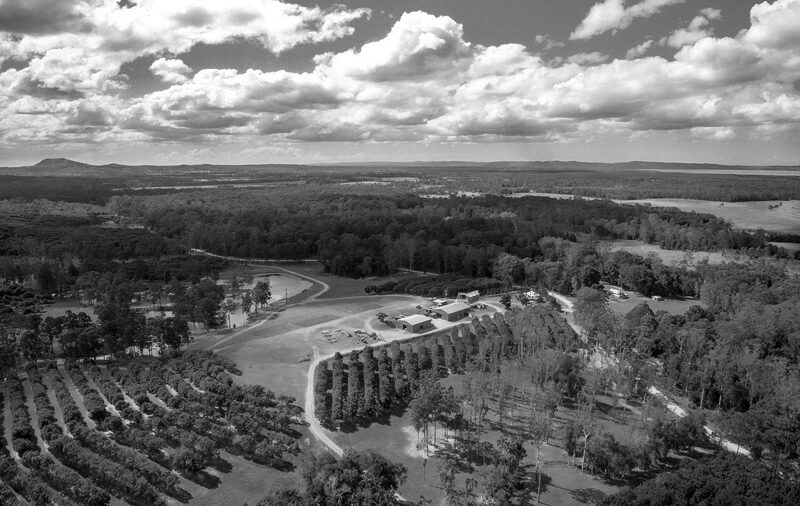 A stunning 250 hectare working macadamia farm in the Noosa Hinterland (Queensland, Australia), the property boasts beautiful fertile land, rolling hills, more than 20,000 macadamia trees, vegetables, citrus, micro herbs and honey production. Three vegetable plots are currently in production as well as macadamia and a substantial citrus grove with over 60 fruiting trees. Maravista Farm’s newest residents are a small herd of Ultra Black cattle that enjoy life on the farm. Normally rare and difficult-to-source ingredients are made a reality for the restaurant Chefs allowing them to focus on creativity. We aim to create something that truly celebrates food provenance from start to finish in the food life cycle.